MANILA, Philippines - This "Man" thing has been viral for quite some time now. With "Carrot Man" and "Cabbage Man" being famous for their good looks, let's give some respect to "Corn Man". 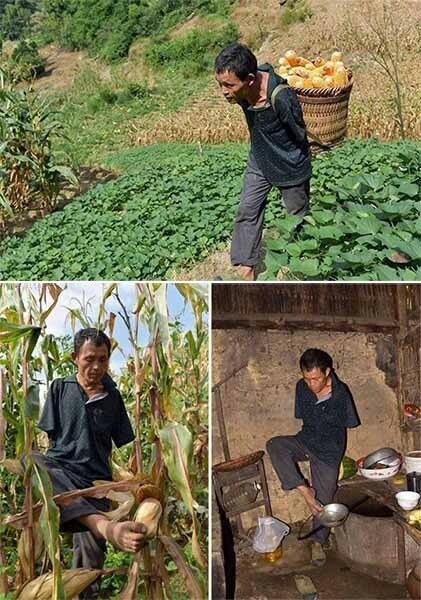 Having no arms, Corn Man is a hard working guy who uses his feet to harvest corn from the field. Using your feet in everyday work is not an easy task. Aside from harvesting corn, he also takes care of an elderly woman in which we are unsure about their relationship. Could be his mother or his lola. But one thing is for sure, this is a hard-working man who cares about his family more than himself. He may not be that good-looking compared to Carrot Man or Cabbage Man but this guy has a pure heart that could not be compared to good looks.